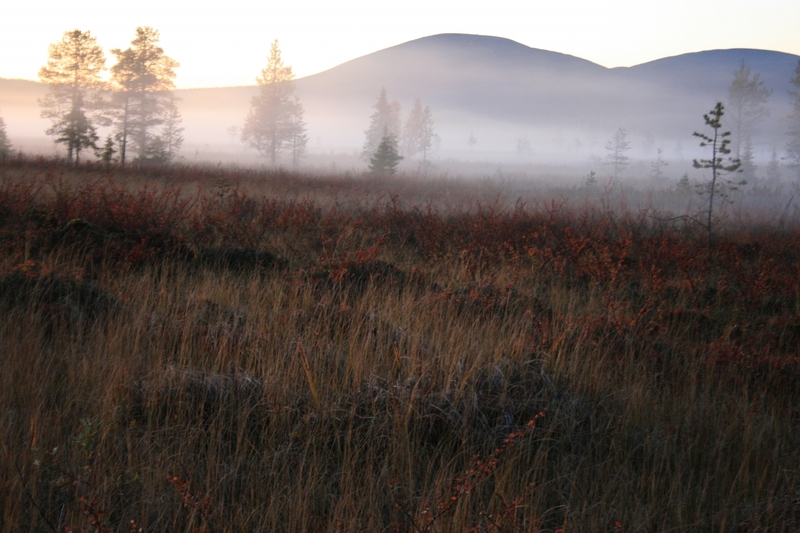 Feel the nature with all senses on a hiking and foraging day in Pallas-Yllästunturi National Park and the surrounding areas in Rauhala Village. Share in the tradition with locals and taste the aroma of the wilderness, ripened by the midnight sun and the cleanest air in Europe. The foraging program leads us to serene arctic forests and pristine swamp areas with wild herbs, berries and mushrooms. Rauhala Village by Jerisjärvi lake and Pallas-Yllästunturi National Park is located ca. 200 km north of The Arctic Circle. Easy access for your private group from Kittilä airport/Levi and Rovaniemi. Optional overnight stay lets you deepen the experience with a sauna by the lake, white summer nights and even northern lights later autumn time. Return transportation from Kittilä/Levi, optionally from Ylläs. You can get there also by bus from Rovaniemi. After picking you up, we drive to Rauhala Village located by Pallas-Yllästunturi National Park and stunningly beautiful Lake Jerisjärvi. You will be guided by professional guide knowing local conditions and best foraging places. Depending on the season and conditions you can pick herbs, berries and mushrooms. The guide helps you to recognise them and tell how they are used and stored. In the middle of the hike, we have a break by the campfire enjoying coffee and local Chaga mushroom tea, with Finnish rye-bread sandwiches and home-baked sweet rolls. 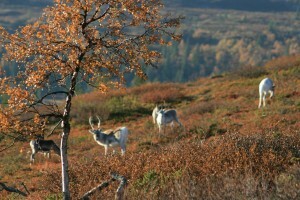 If you want to stay overnight in the guesthouse you have more time to relax in the tranquil nature of Lapland. You can relax in the sauna and swim in the lake and after that have tasty dinner. Summer nights are long for a walk in nature while in September nights are long enough to see Northern Lights. Light lunch by the campfire (coffee / Chaga tea; juice, Finnish style rye-sandwich, home-baked sweet bun. Tasting picked herbs, berries and mushrooms. Additional nature hike or canoeing trip (duration 2 h). You can select optional overnight stay (after the activity) in the Rauhala guesthouse by Jerisjärvi lake. The option contains dinner, accommodation in rooms for 2-3 persons, and breakfast. All rooms have dedicated toilet and shower and there is a possibility to bathe in the sauna. Rauhala family have had a guesthouse in the village from the 19th century. 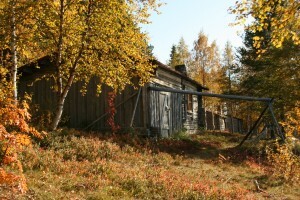 We start our activity at Rauhala Village by Pallas-Yllästunturi National Park in Kittilä. We can pick you up (and drop off) from Levi or Kittilä Airport. Optional transportation from Ylläs Area is also available. You can get to Rauhala also by bus from Rovaniemi. There are several ways to get to Rauhala. Please select date, time, options and number of guests. Price of your private program is calculated based on your selection. Is it possible to see Northern Lights (Aurora Borealis)? In June-July you can enjoy midnight sun and it is too light to see Aurora Borealis. In September nights are dark enough and you have good chances to see them when the sky is clear. What berries, mushrooms and herbs we can pick? 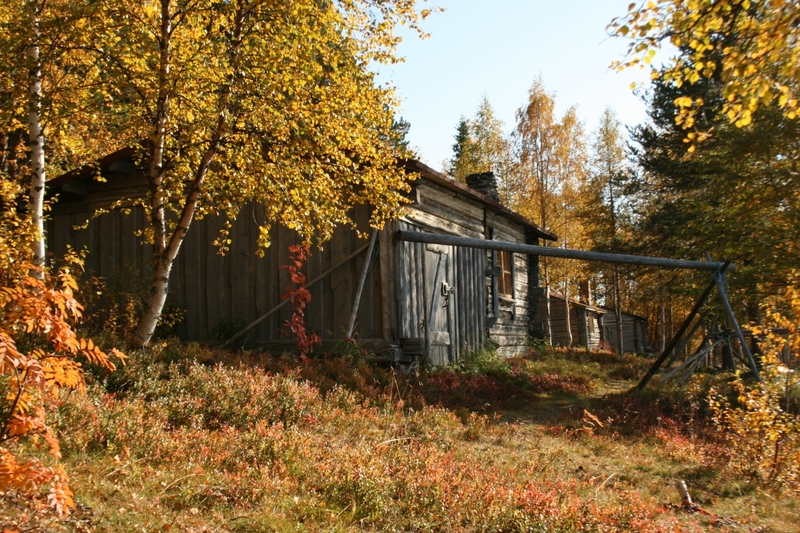 Growing season in Lapland is short but intensive because of long summer days. In June we can pick herbs. Berry season starts in July with blueberries and cloudberries. Mushroom seasons starts mid-July and lasts until the end of September. 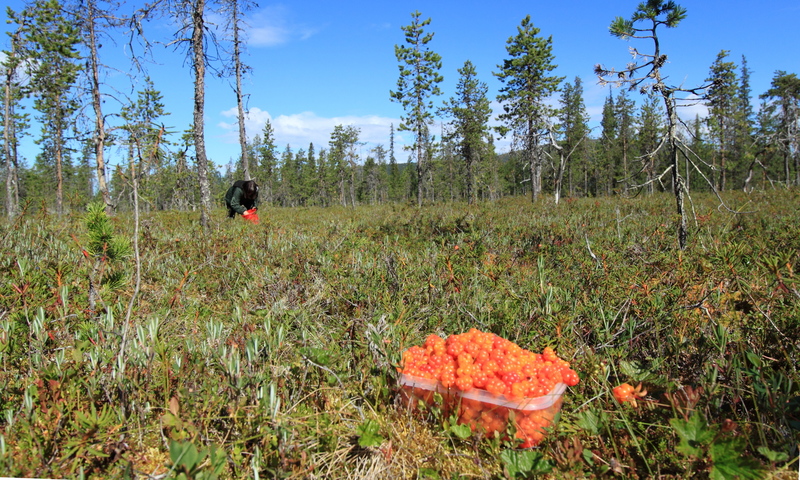 Cloudberry season starts in mid-July, blueberry late-July, lingonberry and crowberry season in August. Can we combine foraging day and canoeing day programs? Yes, you can. If you for example book a canoeing day plus overnight stay and canoeing day for the next day, we offer you an extra 2 hours activity program at no extra cost.